People get ready, Mo Scott’s a-comin’. 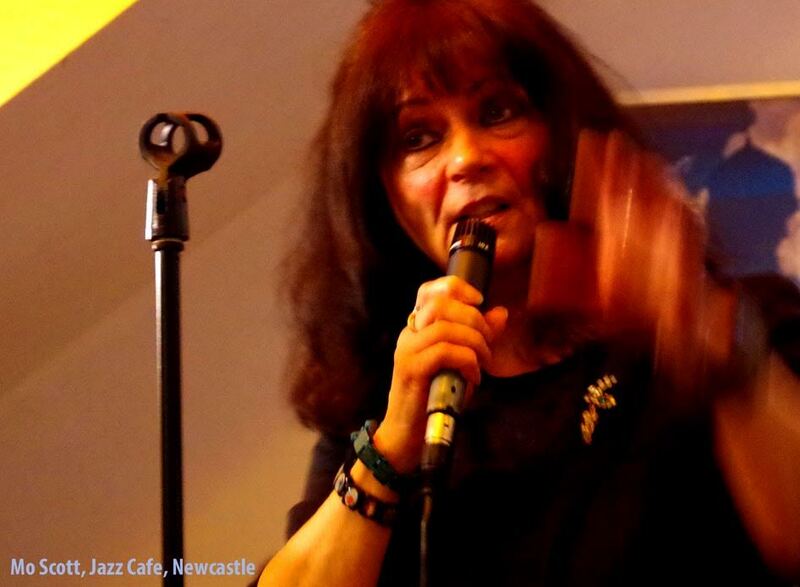 Tyneside’s Empress of the Blues Mo Scott sang Ray Charles, Curtis Mayfield, Big Mama Thornton and many others at a standing room only gig on Pink Lane. Supercharged takes on Unchain My Heart, People Get Ready, a spine-tingling Rock Me Baby, this was Mo Scott in fine form. Blues singer, blues shouter, Scott has few, if any, pretenders to her crown. On this gig, a last minute depping bass player joined Scott and her regular sidemen Gary Dunn, guitar and drummer Paul Smith. The absent Neil Harland – working in Chicago, wouldn’t you know! – necessitated a substitute bassist. 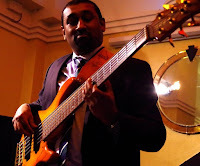 Step forward five and six string maestro Deon Krishnan. A brief band conference, set list agreed, blues time! The diminutive Scott has one helluva blues voice. At times she’s in another world, lost in the blues, arms flailing, you believe her story. That mean mistreatin’, dirty cheatin’, low down man…don’t you just love him!? Guitarist Gary Dunn is the perfect foil, a superb player, none better. Similarly, drummer Paul Smith is a groove merchant par excellence. Immense, restrained power, unleashing it at the right time is the art and Smith has seemingly perfected it. Deon Krishnan gave a master class in no-nonsense, in-the-pocket bass playing. Oh, and he knew the tunes! Mo Scott is fortunate in being able to shout down the north east blues’ mine knowing that an SOS would be answered. If this blog awarded stars for performance, D. Krishnan would get five of them (5 being the tops). Don’t Let Me Be Misunderstood, the Stones’ Miss You, Sonny Boy’s Help Me, the Jazz Café crowd lapped it up. Dunn produced not one but two party pieces. Jimi’s Little Wing was as good as Hiram Bullock’s take at Newcastle City Hall on the Gil Evans’ tour. The encore featured All Along the Watchtower – more brilliant playing. Scott has a fine band, more gigs would be just the job. Next time make sure you get on board.